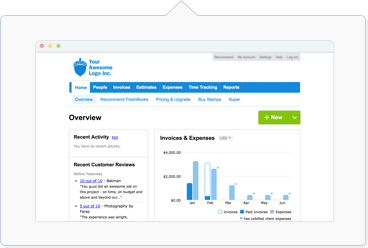 How do I accept Online Payments with FreshBooks Payments Powered by Stripe? You can connect your FreshBooks account to either one of our payment gateway options, FreshBooks Payments Powered by Stripe (International) or FreshBooks Payments powered by WePay (US & Canada click here). Note: Are you based in the US or Canada? You'll see Stripe instead. Click here for more info. Looking for Authorize.Net, Braintree, PayPal or ACH payments? These gateways are currently not supported in FreshBooks. FreshBooks Payments Powered by Stripe should now appear. Click on Connect Stripe to finish the credit card payment set up.